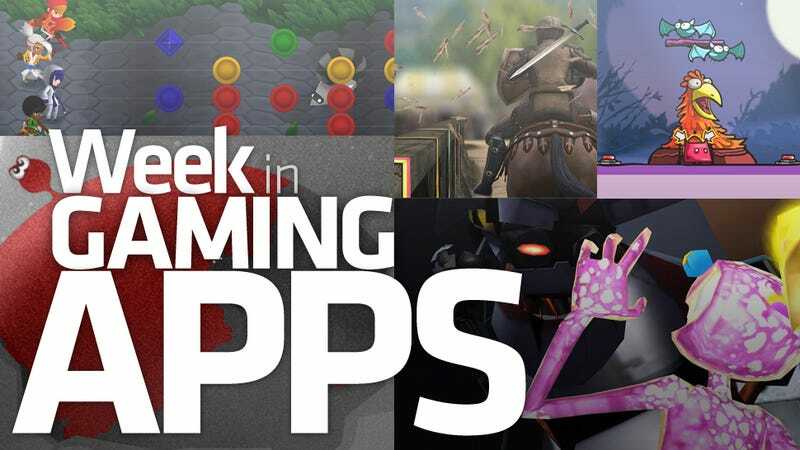 This week's special late edition of the Week in Gaming Apps is brought to you by learning how to use an entirely new publishing system on the fly. It's a learning experience. Oh my goodness these images are so big. Fortunately many of this week's gaming apps were big as well. We've got Magicka on iPad now! Ms. Splosion Man isn't just for Xbox Live Arcade anymore! Dungeon Hearts arrived! And hey, we've got a jousting game now! I am going to run out of exclamation points. The classic tale of a space plant trying to save his seedling nephews from the dark corners of planetoids by manipulating sunlight. Yeah, that old trope. A colorful cartoon puzzle platformer about egg gathering, from the makers of The Flying Hamster and several non-hamster games. Quite lovely, though I still prefer the hamster. Twisted Pixel's hilarious Xbox Live Arcade platformer debuted on PC and iPad this week, bringing the joy of Ms. Splosion to the masses. She's my new girlfriend. And hey, another iOS Microsoft game! From Jellyvision, the makers of You Don't Know Jack, comes this turn-based quiz game that challenges players to sort truth from lies. It's pretty damn entertaining, and informative! Arcade space battles narrated by the worst voice acting ever. I think it's all tongue-in-cheek. Pretty sure. Neat combat, and the Star Trek references are a plus. Mother-loving jousting, dammit. There's a little castle-building and maintenance here, plus the odd melee battle, but the reason for Knight Storm is jousting, and it's so good. Devolver Digital delivers a truly unique puzzle role-playing experience. Might look like a rhythm game, but this is a match-explosion title with a scrolling playfield. It's urgent and wonderful. This week Gamevil released an odd little turn-based role-playing/kingdom builder/online multiplayer battle game. Actually they do that a lot. Worked out well this time. Fetch Could Have Been an Animated Feature. Instead It&apos;s an Utterly Charming iPad Game. Fetch Could Have Been an Animated Feature. Instead It's an Utterly Charming iPad Game.